1 Bedroom End Unit For Sale/Rent!. 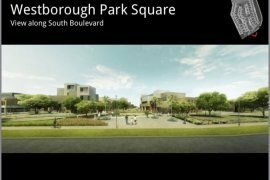 Westborough Park Square Lot For Rent. 248 SQM LOT FOR LEASE IN BRGY. BUENAVISTA I, GEN. TRIAS, CAVITE, ADJACENT TO ENTRANCE OF STATELAND VIEW SUBDIVISION. Conveniently located house for sale or for rent. studio for rent near nuvali sta rosa laguna technopark. PL#5375 Vacant Lot for Lease in Tagaytay City. 4BR House in Canyon Ranch, Carmona, Cavite For Lease. Cool Suites Tagaytay Condo 1br near Skyranch Ayalamall Serin. Available Warehouse Space for Lease Rent Bacoor Cavite. House for Rent in Tagaytay City. House and Lot for sale/hulugang Bahay .A brand new one. GMA Poblacion- Commercial For Lease. House and Lot for sale /rent to own Ready for Occupancy. Cool Suites READY FOR OCCUPANCY Rent to Own Tower A. Wind Residences RFO / Cool Suites condo in Tagaytay by SMDC. 6,500sqm Lot For Rent Lease Silang Cavite. Rent To Own WIND RESIDENCES Condo in Tagaytay PROMO!!!. Warehouse For Rent in Cavite. 4.5Hectare Lot For Lease Dasmarinas Cavite. Industrial Lot For Rent in Cavite 2Hect. WIND Tagaytay Condo for Rent Affordable and nice view. Rent To Own WIND RESIDENCES condo in Tagaytay City. Wind Residences Tagaytay near Summitridge serin ayalamall. cool and breezy studio condo for rent in Kasa Luntian Tagaytay. Available Commercial Retail Space for Lease Bacoor Cavite. Hello, Please contact me, I am interested in properties for Rent in Cavite. Best Regards. Dot Property Philippines is an online property portal where thousands of property searches happen every day. Start your search today for affordable property for rent in Cavite from 233 available listings. Condominiums, houses, townhouses, commercial space, and luxury properties are available for rent in Cavite. Cavite’s properties for rent are either listed by private home owners or property agents such as Michelle Madarang - Trusted Real Estate Broker, Gena Mahinay-Rilling and loreza 'dexra' asistio. The average asking price for property rentals in Cavite is ₱ 96,765 for houses and ₱ 1,142,773 for lands. Refine your search to help you find the perfect Cavite property by price and number of bedrooms.